Wouldn’t it be great if you could walk into a room full of strangers and remember everyone’s name after meeting them once? What if you could recite your mom’s trailing shopping list in order, and by heart? Can you visualize the exact sequence of a scrambled 52-card deck? Foer can, and he says, you can too. 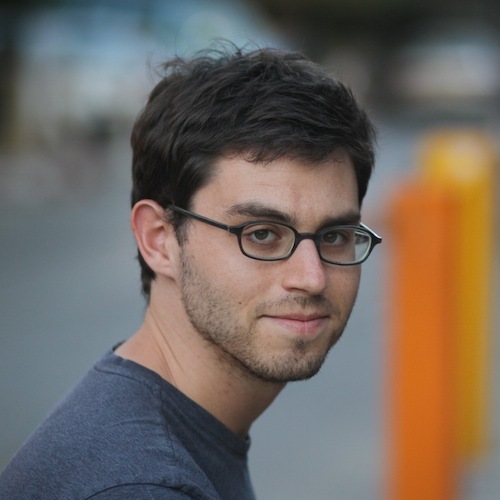 Born in Washington, DC, Joshua Foer is a journalist whose writings have been featured in National Geographic, Esquire, Slate, Outside, the New York Times, and various other publications. Two years after graduating from Yale University, Foer became the 2006 U.S. Memory Champion. At the 2006 championships, he set a new record by memorizing a 52-card deck in 1 minute and 40 seconds. In 2011, Foer published his first book Moonwalking with Einstein: the Art and Science of Remembering Everything, which follows his quest to understand the “art of memory” through history and under the tutelage of British Grand Master of Memory, Ed Cooke. Moonwalking with Einstein debuted at No.3 on the New York Times bestseller list and was named one of Amazon’s 20 Best Books of 2011. Columbia Pictures has also recently bought the rights to adapt Moonwalking with Einstein into a film. Joshua Foer is also the co-founder of the Atlas Obscura, an online guide to the world’s most unusual places, and Sukkah City, an architectural design competition. AK: Your book Moonwalking with Einstein essentially chronicles your journey in both discovering and understanding “the art of memory.” What first sparked your interest in the “memory”? JF: A few years back, I went to cover a memory contest as a science journalist. I met all these people who were performing the most unbelievable feats of memory: memorizing entire poems, shuffled playing cards, the names of dozens of strangers, hundreds of random numbers. I was shocked when the competitors told me that they had just average memories and that anyone could do this. I realized at that moment that I really didn’t have a clue how my own memory worked. AK: What steps did you take to improve your memory? Did you have a training regiment for competing in the U.S. Memory Championships? JF: It turns out there are techniques that were invented in ancient Greece for remembering lots of stuff. I tried to spend 15 to 20 minutes each morning practicing those techniques. Often I’d try to memorize a poem, or names from an old high school yearbook I bought at a flea market. AK: Can you describe your thought process as you memorize a 52-card deck? AK: What is the memory palace? How can kids today utilize and apply that method? JF: The memory palace is a technique that was supposedly invented in ancient Greece 2,500 years ago. It’s the same technique that Cicero used to memorize his speeches. It involves visualizing a building in your mind’s eye and linking images of whatever it is that you want to remember to different places in that building. When you want to recall whatever it is you memorized, you just walk back through the building in your imagination, and you’ll see those images exactly where you left them. I admit, it doesn’t sound like it should work. But it really does. AK: Why does memorization have a “bad rap”? What is the difference between rote memorization and the art of memory? JF: Memorization can be really boring when it’s all about repeat, repeat, repeat. But I found that using memory techniques to transform information into vivid, crazy images is much more fun—and effective. AK: Is the “art of memory” accessible to everyone? JF: Definitely. This is not rocket science. AK: Who has been a mentor to you throughout your career as a journalist, mnemonist, or otherwise? JF: I have two older brothers who are both writers. They’re my best friends and mentors. AK: Now that you are a champion mnemonist, do you find that you view the world differently? Has it helped you retain more information for your work as a journalist or even creating the Atlas Obscura? JF: Yes and no. It does help quite a bit in certain contexts, like remembering people’s names, or memorizing speeches. But memory techniques don’t work for everything. And, ironically, they only work if you remember to use them. AK: What do you have planned for the future? Will you be returning to the U.S. Memory championships? JF: Having answered the questions I set out to answer, I hung up my cleats after winning the US Memory championship. I’ve moved on to pursuing other subjects I’m curious about. AK: Can we look forward to a movie adaptation of Moonwalking with Einstein? AK: Do you still forget where you place your car keys? JF: From time to time I do. But who doesn’t?